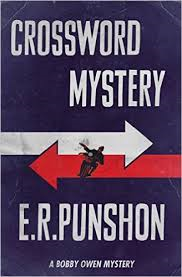 Linda Shenton Matchett: Mystery Monday: Who is E.R Punshon? As if I don’t have enough TBR (to be read) books on my nightstand, I continue to search for authors I’ve not heard of from the 1930s and 1940s. Thanks (again) to The Passing Tramp, I have discovered E.R Punshon. A British literary critic, playwright and novelist, Punshon also wrote under the pseudonym Robertson Halket. 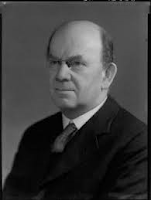 He published a series of crime and deduction stories (perhaps called police procedurals today) that featured Inspector Carter, Sergeant Bell, and Constable Bobby Owen, who eventually rose to the rank of Commander at Scotland Yard. Owen was Oxford educated and reminiscent of the “gentlemen sleuths” found in writers like Agatha Christie and Margery Alligham. Punshon’s ability to construct intricate plots has been compared to that of John Dickson Carr, considered one of the greatest of the “Golden Age” mystery writers, and author of the Dr. Fell and Sir Henry Merrivale series. In addition to well-written plots, Punshon also studied character in his novels-the motives behind crimes and what drives a seemingly normal person to commit them. It is challenging to find books from the less popular writers of this era. Even if you find them, they are often cost prohibitive. The good news is that Dean Street Press has reprinted many detective stories from the lesser known authors, including E.R. Punshon. If you’re looking for a intriguing, well-constructed stories, give one of Punshon’s classics a try.